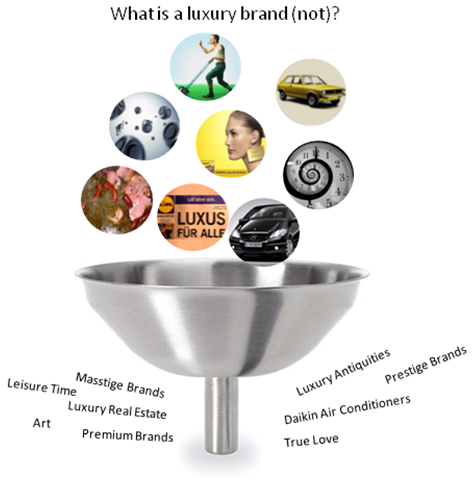 "The Concept of Luxury Brands" characterizes both luxury products and brands and also distinguishes similar concepts such as premium and masstige and differentiates between major types of luxury products and brands such as accessible vs. exceptional luxury products and connoisseur vs. star brands. As luxury is constantly on the move, this concept will be constantly up-dated. Therefore, please feel free to send me your feedback and ideas. The latest publication you can find here. I. Taxonomy of Luxury: The tasks of distinguishing between luxury and non-luxury and of categorizing luxury into different types reminds one of the work of taxonomists, who try to order organisms into groups based on their similarities and differences. The classification of organisms is not that simple, not only because of their vast variety, but also because boundaries between species are diffuse. However, similarly to the taxonomy of organisms, the taxonomy of luxury should provide a definition of "luxury products" and "luxury brands" that, for any products and brands, allows one to decide as best as possible if they are part of what is meant by these terms. In addition, the taxonomy should give an overview of the major types of luxury products and brands, as well as of similar concepts. II. Handbook for the Creation of Luxury Products and Brands: For mankind, classification had to be carried out from the very beginning, because the accurate identification of food, predators, mates, fuel, building materials etc. was crucial to survival. This demonstrates that classification also leads to a better understanding about the objects of investigation. Besides their value in the classification of luxury, the characteristics of luxury products and brands thus also help to develop an understanding about how they are actually created. As this is a distinctive area of application, the explanations about their characteristics are consolidated in a separate part of the paper, which should serve as a handbook for the creation of luxury products and brands. 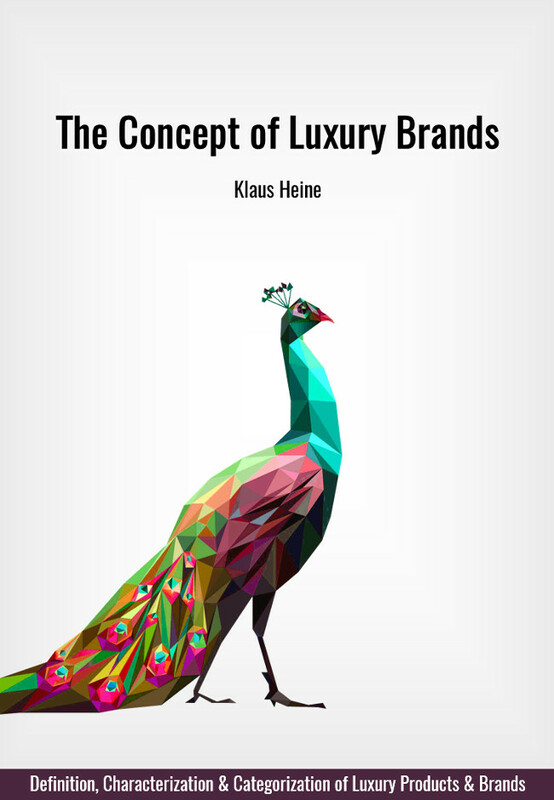 Heine, K. (2017) The Concept of Luxury Brands. Upmarkit, www.conceptofluxurybrands.com.